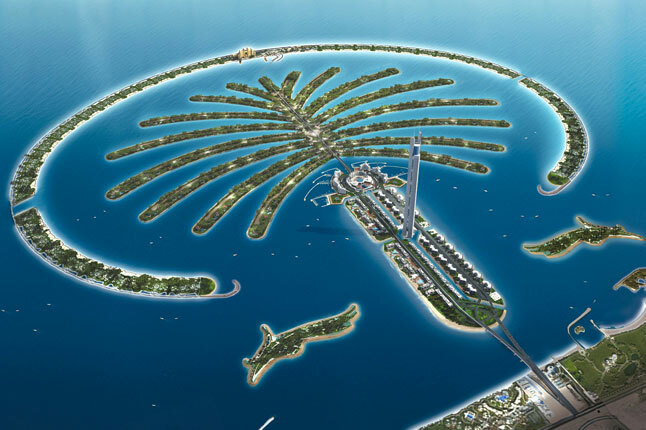 Master developer Nakheel is heading to China to showcase real estate investment opportunities worth more than USD1.6 billion (CNY11 billion) at the Dubai Property Show in Shanghai this weekend. Nakheel is exhibiting a diverse range of properties – from luxury penthouses on the world-famous Palm Jumeirah to family homes at Dubai’s biggest Chinese community – with annual rental yields of up to nine per cent. The developer is looking to expand its Far East / South-east Asia investor portfolio, which already boasts over 600 customers who have bought nearly 1,000 Nakheel properties collectively worth USD270 million (CNY1.8 billion). Taking centre stage in Shanghai is PALM 360, Nakheel’s latest, iconic addition to Palm Jumeirah, featuring 12,000 sq ft penthouses towering 220 metres above the island, an infinity sky pool that is longer than a football pitch and, as the name suggests, 360 degree views of Dubai. Also on show is Warsan Village, Nakheel’s new gated community close to International City and the award-winning Dragon Mart, where more than 50,000 Chinese people live or work. The Nakheel stand will also feature a range of studios, apartments, townhouses, villas and land plots at various other areas of Dubai. Aqil Kazim, Chief Commercial Officer at Nakheel, said: “Dubai is currently home to 200,000 Chinese people, who make up 10 per cent of the city’s population. Around 50,000 of them live at Warsan Village/International City – the biggest Chinese community in Dubai. “We are delighted to bring our projects to Shanghai, where we will highlight the unrivalled investment opportunities Dubai offers to Chinese people. Investors from this part of the world have already bought nearly 1,000 units, collectively worth almost worth USD270 million (CNY1.8 billion), with Chinese investors accounting for 90 per cent of them. “Thousands more Chinese people have invested in Dragon City, our sprawling, ever- expanding mixed-use complex in Dubai and home to Dragon Mart, the world’s biggest Chinese trading hub outside China, which welcomes 40 million visitors a year. Selected lands plots are also available at various locations across Dubai. All rights reserved to the initial publisher for Media Office.